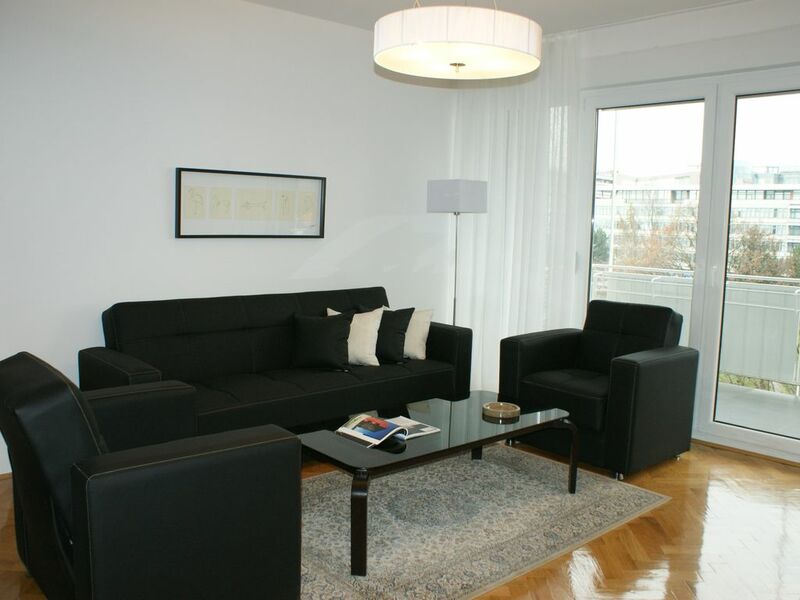 Apartment MAJATALO is very cozy apartment in calm district close to the downtown, confortable for 4-5 persons. We´ve decorated to make it feel like home. It is perfect for couples or families besause it´s located in calm neighborhood but also is perfect for business people because it is close to the center, restorans and public transport (tram, bus, train, taxi). Apartment has nice balcony where you can enjoy sitting with the beautiful weather. If you arrive with a vehicle we offer free privat parking. If you arrive by train, don´t wory, the railway station is only 5 minutes on foot from apartment. You are welcome and we will be delighted for you to enjoy apartment. Amenities: Lift, Internet (WI-FI), Air conditioning, Heating, Ironing facilities, Safety deposit box, Washing machine, Hairdryer, Cable channels, Flat-screen TV, Oven, Stovetop, Dishwasher, Microwave, Refrigerator, Coffee maker. Services & extras: Linen, Towels. Dining table in the kitchen. The Apartment Majatalo is very clean, comfortable, and modern. The kitchen is fully equipped. The location is great - easy walking distance to the tram and train station on Tomislav Square then a straight shot to Jelačić Square. The pass through to the square has a grocery, bakeries, pharmacy, and more. Beds are comfy, bathrooms large, plenty of towels. The balcony was a real bonus, and the cross breeze kept it comfy even in the summer. In spite of being near the motorway, the apartment is quiet and secure. The floor plan was wonderful for a couple and a singleton - separate spaces and privacy for everyone as well as the common area. Vlatka communicates promptly in fluent English and was helpful before and after our visit. The price was also quite reasonable. We loved our stay here!